Most people buy new tires without bothering to check if they are really new. Tires are stored in warehouses, and they may be several years old by the time you buy and install them on your car. Then there is the question of how long you should keep the tires on your car. Even if you don’t use your car much, there are compelling reasons to replace the tires regularly. Over time, the rubber in the tires will deteriorate due to environmental exposure. The Department of Transportation recommends replacing tires once they reach 10 years old. Some manufacturers recommend replacing tires after six years. You can tell the age of your tires by checking their manufacture date. You can find this information on the sidewall of the tire. Somewhere near the edge of the tire’s rim is a set of numbers that start with “DOT.” The series of numbers ends in three numerals if the tires were made before 2000 or four numerals if they were manufactured after 2000. The first two numbers in the last group refer to the week of manufacture and the last one or two numbers refer to the year. If you see the numbers 4012, the tire was produced in the 40th week of the year in 2012. The letters “DOT” in the series mean that the tire has passed the Department of Transportation test. The next two numerals refer to the code of the production plant, followed by the two-digit tire size code, and finally the four-digit manufacturer’s code. 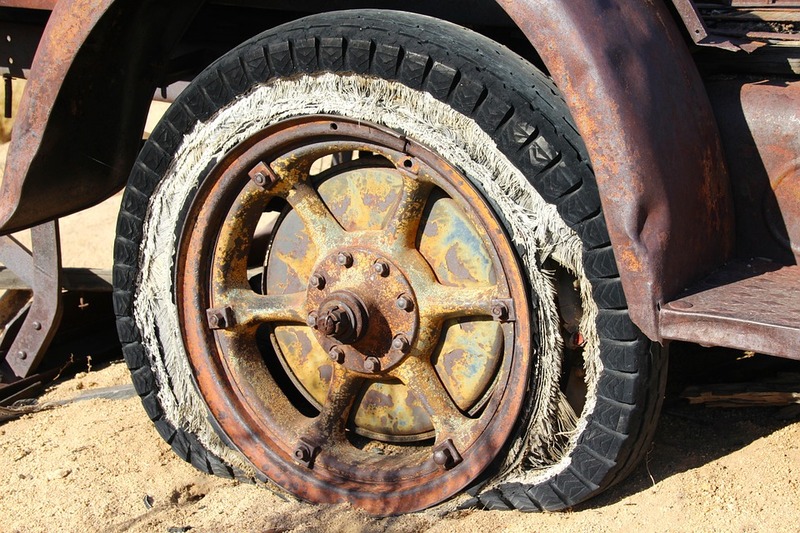 Replacing your tires should not only depend on their age. When you observe that a tire’s tread is below the recommended depth, it is time for a replacement. You can check the depth of your tread by using a tread depth gauge. If you don’t have one, then you can conduct the penny test. Insert a penny into the grooves of the tire tread. If you can see Lincoln’s head, it’s time to replace the tires. If you need new tires in Utah, visit a qualified Utah tire shop. Different tires wear out differently. Summer tires last longer compared to snow tires. Winter tires are made of a rubber compound that is soft and wears down faster than all-season or summer tires.